Scott P. Rogers, a professional, responsive, knowledgeable, friendly Associate Broker with Funkhouser Real Estate Group, began his real estate career in 2003 and has been working hard ever since to provide exceptional service to his buyer and seller clients in Harrisonburg and Rockingham County. Scott provides detailed, professional and responsive service to all of his clients, whether they are buying their first home or have been through many housing transitions. Each year since 2010, Scott has been recognized each year by the Harrisonburg/Rockingham Association of Realtors as being in the top 1% of all area Realtors. A native of Montgomery County, Maryland, Scott earned a B.A. (2000) and M.Ed. (2002) from James Madison University, providing him formal education in graphic design, management and counseling -- all of which he leverages on a daily basis to the benefit of his clients. Scott's graphic design and web development background allows him to create and utilize high caliber technology and marketing solutions for his clients. Scott incorporates many innovative tools and technologies to serve his clients including: professional photography equipment, a quadcopter (drone), property websites for each of his listings, 3D Walk Through technology and Virtual Reality. He leads the local market in the adoption of new marketing techniques - for the latest, check out WalkThroughThisHome.com. 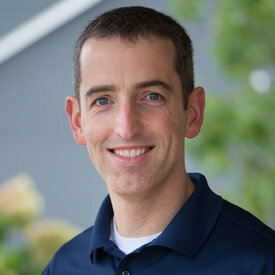 In 2007, Scott began providing in-depth analysis and commentary on the local real estate market via his real estate blog, HarrisonburgHousingToday.com. Since that time, he created many other valuable online resources for the local community such as BuyingAHomeInHarrisonburg.com, SellingAHomeInHarrisonburg.com, HarrisonburgHousingMarket.com, NewListingsInHarrisonburg.com, JustSoldInHarrisonburg.com, HarrisonburgNeighborhoods.com, HarrisonburgTownhouses.com, HarrisonburgInvestmentProperties.com, HarrisonburgRealEstateResources.com and many others. Scott is a member of the Shenandoah Valley Builders Association, serves on the Board of Directors for the Shenandoah Valley Children's Choir, is the co-founder of TakeThemAMeal.com and PerfectPotluck.com, serves as a Trustee for Asbury United Methodist Church and coaches middle school volleyball. Scott and his wife, Shaena, live in Rockingham County with their two children, Luke and Emily. In his free time, Scott enjoys spending time with his family, traveling, playing volleyball and attending JMU sporting events. Contact Scott anytime at 540-578-0102 or scott@HarrisonburgHousingToday.com.